As the title states I’m looking for 16-17ft used side console boat with around a 60hp. 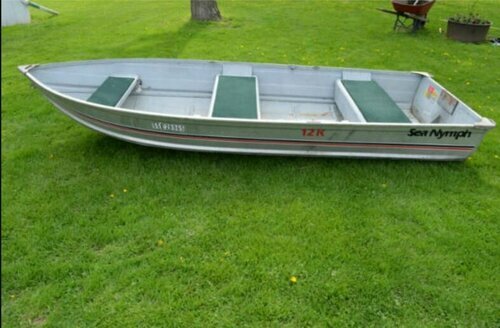 Preferably a Lund/ Alumacraft boat. Looking for 2005 and newer. Like to keep it under 20k. If anyone here or someone you know is looking to sell. Thanks. I currently have two drop shot set ups. I have a 7’2” shimano crucial medium xf with a 2500 stradik fj. Was a a little over the $300 dollar mark you’re looking at but I like this setup. I use this one majority of the time for drop shorting because this rod has a soft tip. I feel it allows me to feel the light bites. I also have a 7’3” Daiwa cronos medium xf with a 2500 tatula LT. This was right around the $300 dollar mark. This rod is a little stiffer than the crucial. 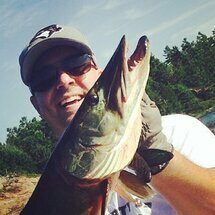 I use it primarily for jigging raps and spy baits. My brother has the mojo bass drop shot rod and he likes it. I have used that numerous times and would recommend either of these options or something similar. Also what I used to do when didn’t have a designated drop shot rod was pre tie drop shot rigs with a barrel swivel on the top end so I didn’t have to waste as much time re tying all the time. Then when I was done I would rap it around one of the foam things I use for worm harnesses then it could be re used. Hey guys, As the title states I'm looking for any info on Burrows lake and any of the surrounding back lakes in the Coldwater area. Stumbled upon these lakes when we were out on the ATV's on the trails in that area. I tried looking online but there's little to no information out there regarding them. Any info is appreciated. Pretty sure Aikman's is still a certified repair shop. Why would you want to even want to cut the shaft? I bought the 17 Terrova at the beginning of last season and love it. It’s prob the one of the best purchases I’ve made for the boat. Totally changed my fishing game. It took me some time to get used to all the features and I’m still learning them but it’s well worth the money. Especially for the spot lock feature. When I was at the boat show last weekend, I did notice the new Terrovas have changed a little bit from last year. I don’t know if they’ve changed any features. If by “sensor” you mean the white puck then the 17 models comes with it as well. Just has to be synced to the motor. You do this on your first trip out, very easy to do. There is also a Johnson outdoors in Burlington. Google then and give them a call and speak with the. Maybe they can clear things up? WTB 12-14 foot boat with a trailer. With or without motor. If you or someone you know is selling let me know. Thanks. Picture is what approximately what I’m looking for. Hey guys, does anyone know if lake St. John has ice? Will be up in that area over the weekend, would like to try that lake for eyes. Some people forget that it's a PRIVILEGE to be allowed to live in another country not a/your RIGHT. I think that this is something that has been forgotten. My grandfather volunteered at 21 or 22 and was a tail gunner in the Lancaster bomber, alouette squadron. He did survive the war, but he passed away when I was about 13 and didn't fully understand the gravity of what he did. My dad has told me a bits and pieces of a few stories that my grandpa shared with him about being on bombing runs and in air to air combat with German fighters and being shot at and shooting them down. We still have his RCAF jacket, his war medals and flight log book among other things. I am very proud of him for doing what he did. I just bought a striker hard water suit last week. Was a bit on the expensive side but worth the cost imo. Really warm suit. Found myself taking off under layers because I was too warm. Also has towels that button ontop of the thigh which I thought was cool and are very handy. Also thought I would need a large but ended up getting a medium. It’s was a toss up between the hard water suit and the predator suit for me. Predator suit was a little cheaper and a little lighter overall in terms of weight. But I chose the headwaters suit. But both would be a good buy imo. Both motors are 4 stroke. 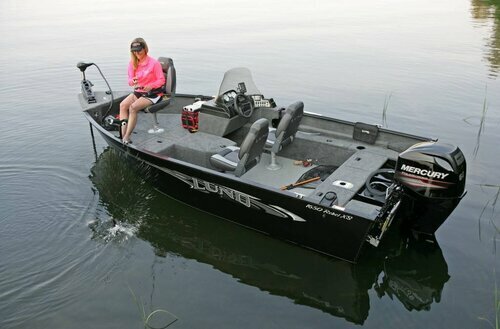 The boat that has the 115hp is 17ft and rated for 125 max hp. The other with the 90hp was 16.5ft and I’m not sure about the max hp as it was already sold before I had a chance to look. I also was going to take it to a Honda marine mechanic in that area to have the appropriate test run. Yes, I like that idea. Yes I've taken a look at a couple and the pictures were deceiving. The Interior carpets weren't in great shape and neither were the interior compartments. Yes I've been told to check everything with a fine tooth comb and make sure everything is in working order. I agree i wouldn't want some random trying to do these things however I'd think if you wanted to sell it then that's something that you would do? Also why would you leave it there? Wouldn't you want to see what comes of the inspection? Not taking it to a mechanic for me would be a deal breaker. That would say to me that there may be potential issues with the motor. I'm not that well versed in outboard mechanics and would prefer someone who is trained have a look, before I spend a bunch of my money on what could be someone else's problem. I agree that you can't take it to a mechanic for every potential buyer however you should be able to weed those people out and try to deal with only serious buyers. Also if you do end up taking it to a mechanic, would it not be possible to get the things that most people would want checked it writing?